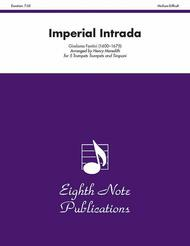 This Intrada has been scored for 5 natural trumpets and timpani from the original single line of music. Alternate parts for trombones have been included for the two low voices. This work was premiered at the 1998 International Trumpet Guild Conference in Kentucky. 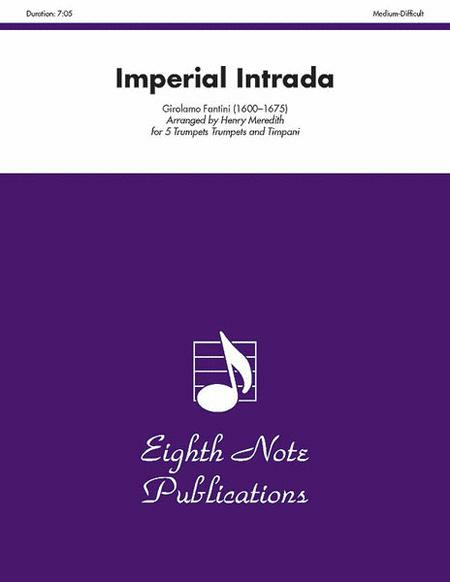 An extended introduction leads to the First Imperial March where the soprano (clarino) voice enters with melodic material. There are many optional repeats which can be used to facilitate timing in a concert and make this a great fanfare opening on either Baroque or modern instruments.